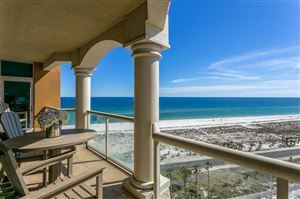 Pensacola Beach is a Florida resort community on the Gulf Coast barrier island of Santa Rosa. White-sand beaches include Opal Beach, part of Gulf Islands National Seashore. Pensacola Beach Boardwalk has shops, eateries and, nearby, the Pensacola Beach Pier stretches into the Gulf of Mexico. Both are on the Pensacola Beach Eco-Trail, which spotlights local wildlife such as sea turtles. West is the 1834 Fort Pickens.